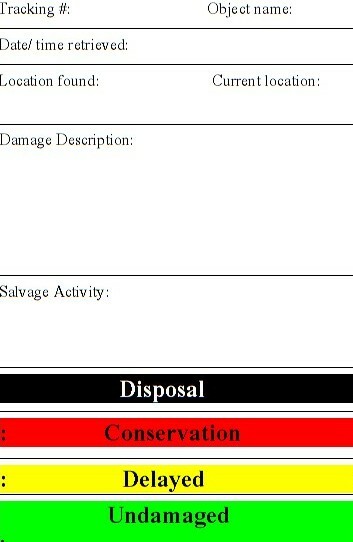 Posted on July 22, 2014, in cleaning, collections care, Connecting to Collections, conservation, CREST, disaster preparedness, fire, workshops and tagged artifact recovery, artifact tagging, disaster response. Bookmark the permalink. 1 Comment. Can we change my email address? ?